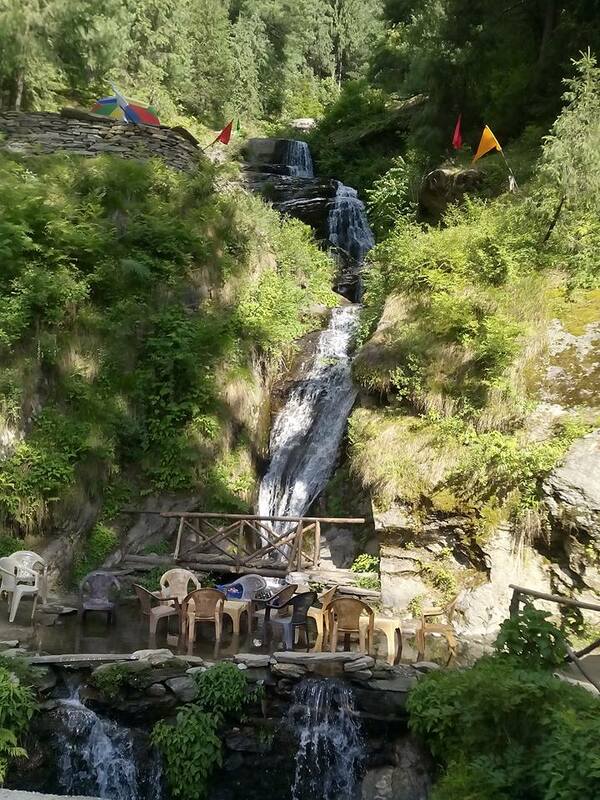 Jana waterfall is just 12 km from Naggar Village and 32 km from Manali and even equally distanced from District Head Quarters Kullu, inside small village called Jana which is surrounded by apple orchards. After visiting Naggar Castle, Tripura Sundari Temple, Roreich Art Gallery, Uruswati Himalayan Fold Art Museum one can starts its journey towards Jana Waterfall. There is a single lane road for the waterfall which ends towards Bijali Mahadev Temple and the road is not in good conditions so always prefer 4 x 4 vehicles. The road is surrounded by beautiful pine trees and view of snow clad mountains. It is a small waterfall but the main attraction of the place is organic and delicious local food served here in several stalls near waterfall. It is a good picnic spot for families and children and a beautiful place away from the hustle and bustle of the city.